Jerome Kern and Oscar Hammerstein’s Show Boat was the musical that broke the mould in 1927. Based on the novel by Edna Ferber, it dared to mix serious themes – racism, alcoholism, a family saga – with musical entertainment. High and low produced an enduring classic of musical theatre that has now reached London from its sell-out revival at Daniel Evans’ Sheffield Theatre. Evans is soon to move south to Chichester, already riding high with recent musical successes and West End transfers such as SweeneyTodd, Gypsy and the currently running Guys and Dolls. 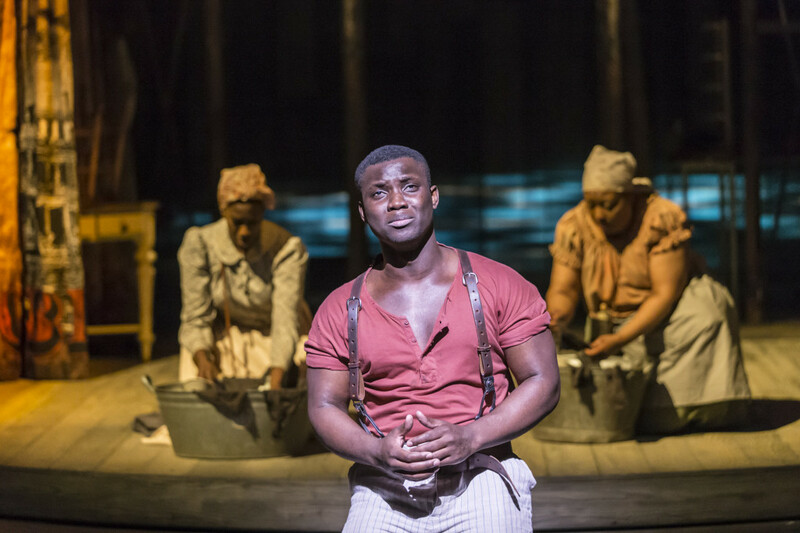 If Show Boat is anything to go by, Sheffield’s loss is Chichester’s gain. 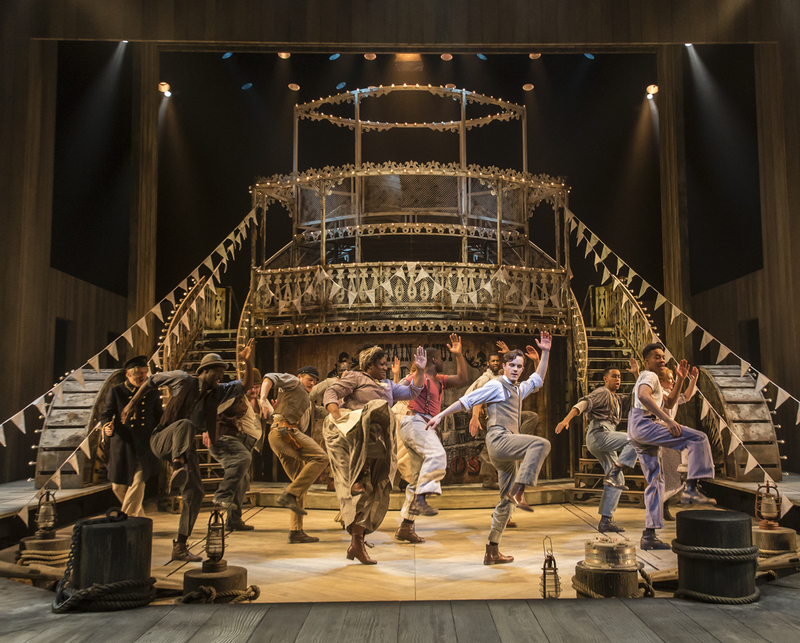 Evans’ staging of the timeless Show Boat overflows with life and energy on Lez Brotherston’s glittering steamboat setting and boasting a superb chorus led by Sandra Marvin’s Queenie and Emmanuel Kojo as Joe, the role associated with Paul Robeson and the song, `Ole Man River’. The much younger Kojo though is up to the job in Ferber’s story of the kindly Capt Hawks and his showboat – `we’re all one big happy family’ – cruising the Mississippi at a time when segregation’s harsh realities were still very much present in the Deep South. Malcolm Sinclair’s Hawks is the ultimate in benign paternalism, seeing the best in everyone, even down to his gambling son-in-law, Gaylord who deserts his beloved daughter, `Nola’ before ultimately returning to the `family’ fold a quarter of a century later. 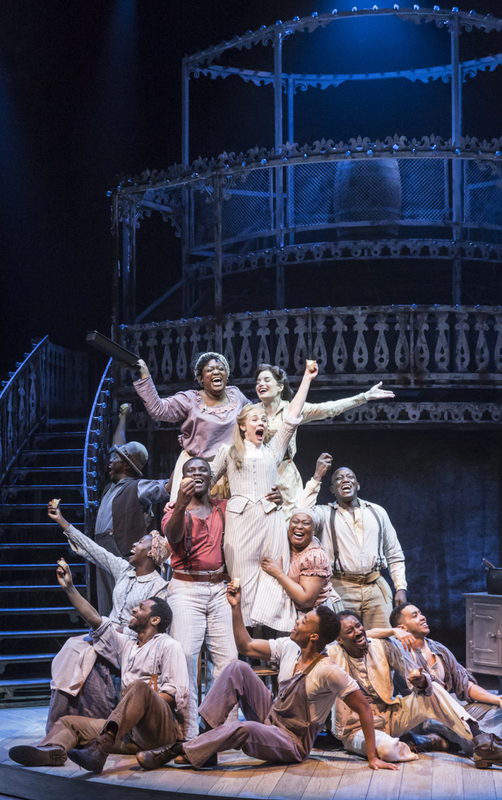 Peppered with sly humour, the making of Show Boat lies not only in its sympathetic characters and strong narrative line but its string of memorable songs. `Ole Man River’ apart, Rebecca Trehearn gives `Can’t Help Lovin’ Dat Man of Mine’ a rich, throaty seductiveness whilst Gina Beck’s Magnolia and Chris Peluso’s Gaylord sing the romantic ballads and light operetta songs with a sweetness that happily avoids the usual saccharine sentimentality. Alistair David’s choreography too has real verve and freshness and the only sadness is that even on its third night after opening, the New London theatre was far from full. Some tweaks too with the sound quality would make what is already hugely enjoyable even more so. This entry was posted in 2016, Reviews and tagged 1927 musical classic, Alistair David, Daniel Evans, Jerome Kern, Lez Brotherston, Mississippi, New London Theatre, Oscar Hammerstein, racism on April 29, 2016 by Carole Woddis.